Glitterbelle was released in 2006 as a single in the Divine Shine assortment. GLITTERBELLE was born in December and her favorite color is midnight blue. Her favorite gems are sapphires and she can usually be found adding to her collection of feather boas! 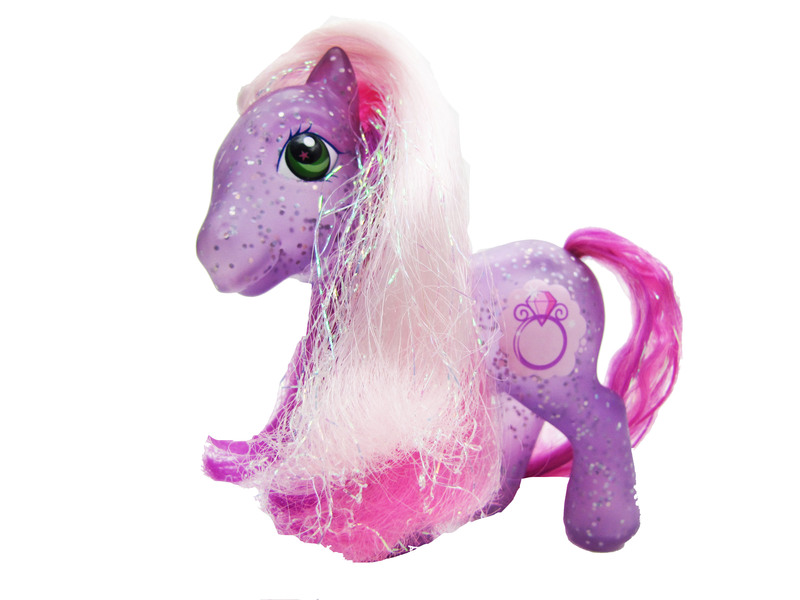 The first thing youâ€™ll notice about this pretty pony is her translucent purple tone and all-over sparkles. What a unique pony to add to your collection!